Those who are interested in culture have already marked the first Saturday of October. 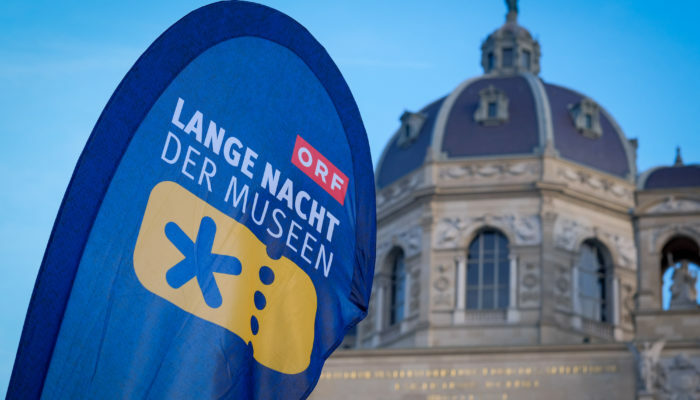 In the 19th “Long Night of the Museums” on October 06th 2018, Austria will again focus on art, culture and history. Around 700 museums, galleries and various cultural institutions are taking part in the community action, about 130 locations in Vienna alone. The museums open their doors for visitors interested in art that night from 06:00pm to 01:00am. Even for small culturally interested visitors there are matching offers as the ZOOM Children’s Museum and numerous locations that offer special children’s focal points. for all visitors is the “Treffpunk Museum” at the Maria-Theresien-Platz in Vienna. There you will receive further information, booklets and tickets for the “Long Night of the Museums” at the following times: Thursday, October 04th from 02:00pm to 06:00pm, Friday, October 05th from 10:00am to 06:00pm and Saturday, October 06th from 09:00am. Tickets for this big event can be purchased at the “Meeting Point Museum” in advance or right on October 06th 2018. These tickets are not only an admission ticket for all participating museums on the day of the event between 06:00pm and 01:00am, but also a ticket for public transport and the shuttle bus between the museums. On the site of today’s university campus, a circular building from the late 18th century is situated, the so called Narrenturm – an important monument of the history of health care and medicine. Today this building houses a unique collection of specimens, including wet preparations, bones, wax casts and medical devices. The Leopold Collection houses the most substantial collection of Egon Schiele worldwide and the unique exhibition “Vienna 1900” – an Art Nouveau exhibition with major works by Gustav Klimt as well as paintings, decorative art works and furniture from the Secessionists. The Museum of Natural History Vienna is a cultural and historical gem and at the same time a significant natural scientific institution, with collections of more than 250 years, in which 30 million objects are scientifically managed. Some of the most famous exhibits are the Venus of Willendorf, Maria Theresa’s bouquet of precious stones, the extinct Steller’s sea cow and the largest and oldest meteorite collection in the world. NHM Above Vienna’s Rooftops. A cultural and historical walk through the museum ends with a cocktail on the roof. Every half hour from 6.30 pm to 11.30 pm. The Hotel Zipser is located near numerous museums and is therefore an ideal starting point for an extensive museum tour! Your room can be booked directly at our website.